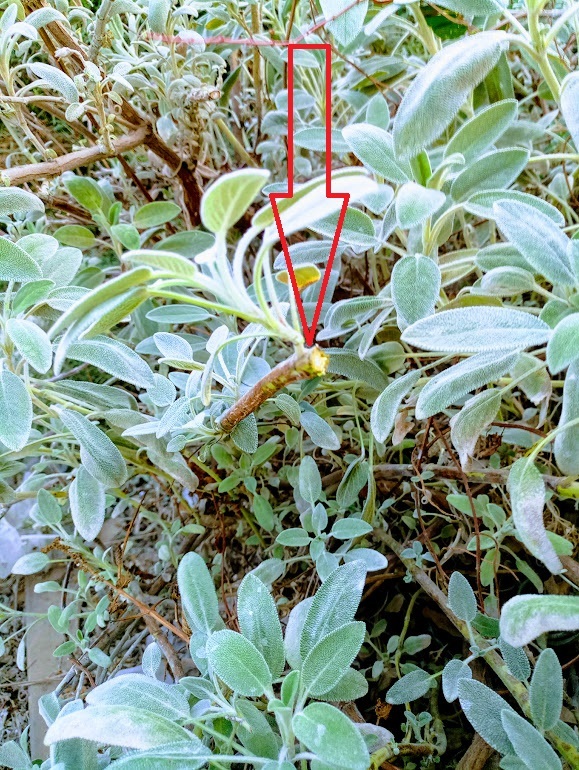 Pruning Sage - This herb that always reminds me why I love hand pruning. Just touching the leaves and breathing that amazing aromatic smell into my lunges brings a huge smile to my face. Pinch a leaf of Sage, smell it, and you’re a happy person. And I’m not the only one who feels this way, many words have already been said and written about Sage. But we are here to learn about pruning Sage - so let’s prune. 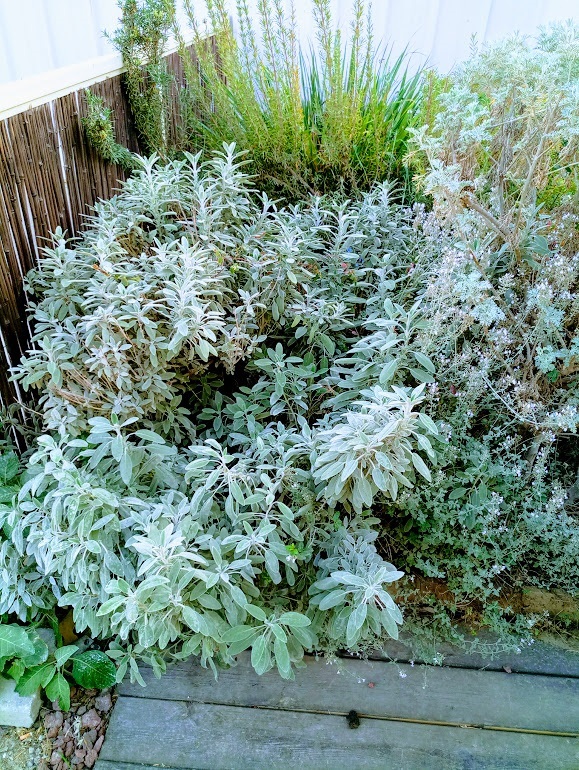 Note - Sage can handle pinching or hard pruning. Both are easy and the bland will respond well in both cases. So, don’t be afraid to prune hard, I’ll show you how in a moment. Before we start - I’m (not) proud to show you my two year old deliberately unpruned and neglected Sage bush. So, as you can imagine I’m more than a little excited that we’re about to change his (yes, I think of Sage as a boy…. just as Rosemary is a girl J) hair style. Ready? Let’s do it! When? - Beside when you need it in the kitchen? And in winter… routine pruning can take place whenever you like, as long as you don’t go in hard every season. Why? - I think the why is the most important reason for pruning Sage. 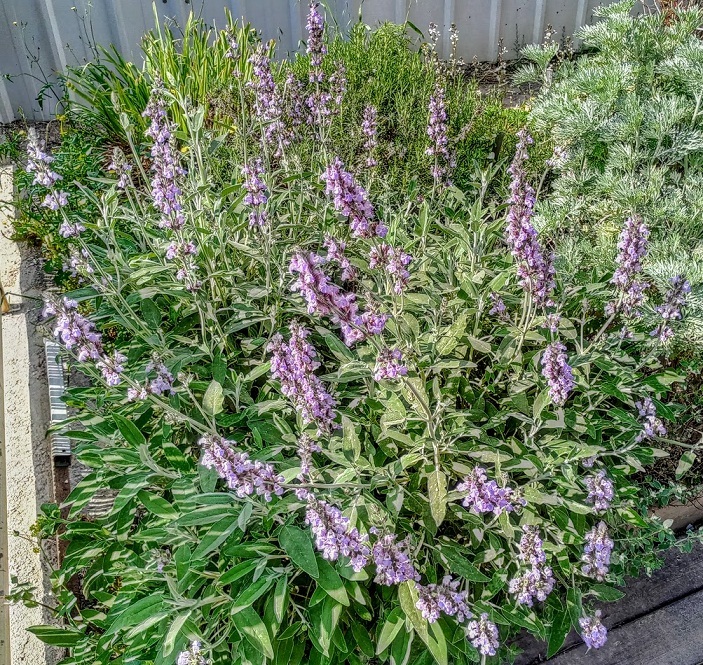 Let me explain: as a herb, you want to enjoy Sage leaves and flowers for all kinds of reasons, and sometimes almost daily. And that’s a great reason for pruning sage! It’s also why I’ll always prefer to prune my sage half hard and half by pinching. It may look a little less attractive (I don’t want to hurt his feelings..) for a while, but I’ll win twice over - once for encouraging new growth and the second time because I’ll have as the fresh Sage I can possibly use. Where - Look at the stem in the picture, you can see the exact cutting point for hard pruning. What is really important here is that when you prune you leave a few new healthy leaves just below the pruning point. This will allow the Sage to recover and respond faster and with less effort. Choose the stem you want to prune, hold onto it, and look for a group of new leaves. Prune the stem half an inch above those leaves. (You’re leaving half an inch just to make sure you haven't cut too close to the node). After the hair cut - As you can see in the picture, after you have finished pruning your Sage, his capacity will have changed. 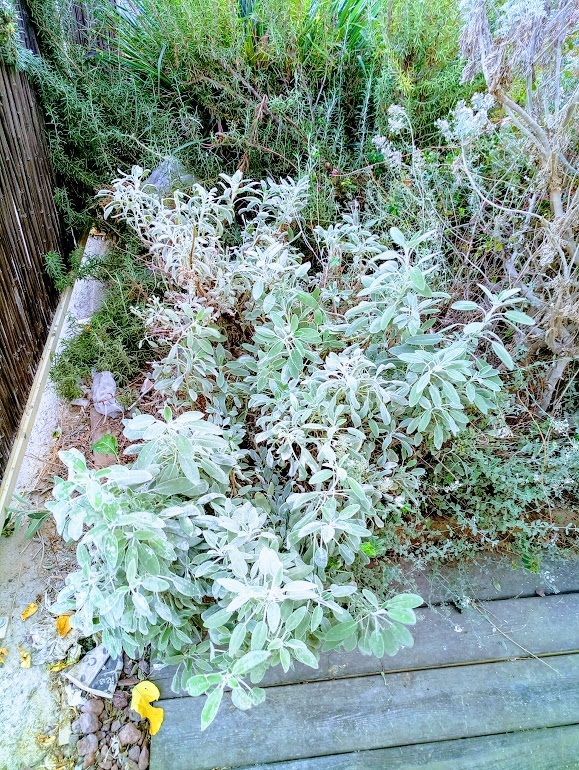 There will be less branches, less weight, less leaves - but what I did was prune hard on left ​side, and very lightly on the right – this will allow the Sage to recover well and produce new leaves on his left, while I continue to enjoy Sage in my cooking for the rest of the season. Next season – you guessed it – I’ll go harder on the right, and only pinch on the left. My preferred pruning shears for pruning Sage are the ARS HP-130DX 7-Inch bypass pruners that can handle the thicker woody parts (those low lying thick, strong stems). For the Sage’s softer upper branches, I’ll use pinching or small gentle shears.